Category: Conspiracy Theories & Alternative History Tags: columbia, Freemasons, mathematics, virgo, christianity. This compelling book unearths the truth behind one of the most elegant – and mysterious – of all cities. It shows how its planners built themselves a capital modelled on their own beliefs, orientating it toward the zodiac sign of Virgo and marginalising Christianity in the process. 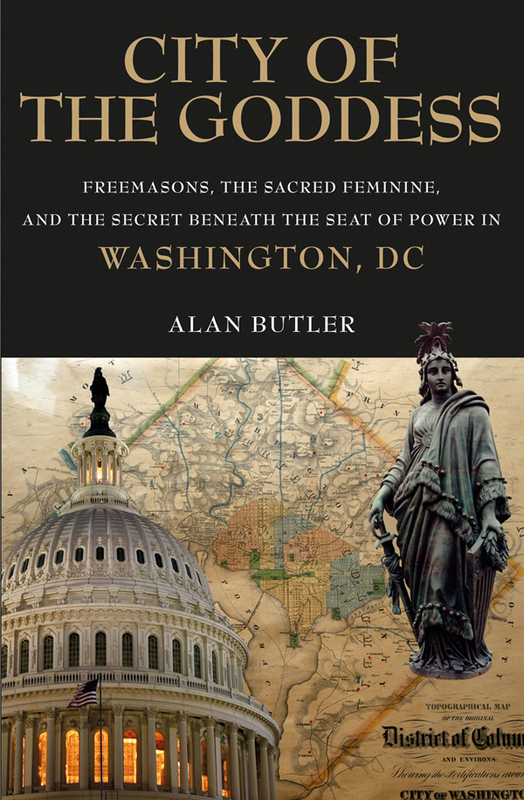 Using Freemasons as a willing army, they ensured that every detail conformed to an ancient mathematical pattern that culminates in a massive, hidden arrow pointing at the very centre of the District of Columbia – a secret chamber just beneath the surface of the Ellipse Park. What pattern connects the Capitol, the Ellipse and the Pentagon, and how can it be decoded? Why does the Goddess of Freedom stand guard over the Capitol? What is the 5,000-year-old treasure that resides in the secret chamber, and what does it mean for the future of humankind? Tackling these questions and more, Alan Butler leads the reader on an exhilarating adventure around America’s legendary capital.